George: This review, we’re looking at a Star Wars Battlefront video game tie-in. It’s called Twilight Company and takes place around the time of the Battle of Hoth from The Empire Strikes Back. I’ve played the previous incarnations of Battlefront (and loved them—can’t wait for the new one), so I was kind of hoping for something a little bit different than what we got. Especially after the amazing run of Star Wars books (check out all of our reviews, here) that we’ve had over the past year. 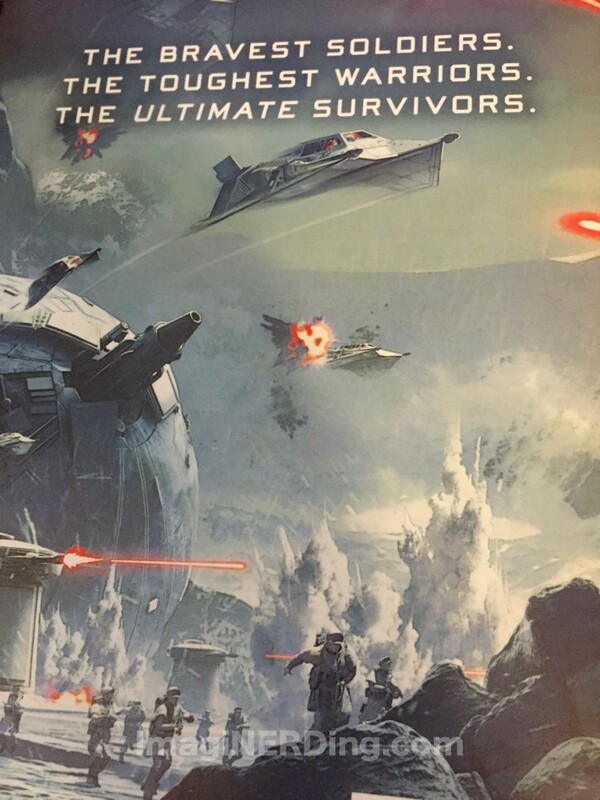 Jeff: I’d call Star Wars Battlefornt a tie-in very loosely, because while one of the battles does intersect with one from the game, this novel is more about war strategy and making the right move than the actual battles themselves. While at times there is the classic Star Wars feel, at others, to me, this book left me wanting more. George: Like Star Wars Aftermath, the book took more than 100 pages for me to get the character names and situations down. I also found myself jumping back to the beginning to figure out if the character was human or one of the other species. It just seemed very confusing and didn’t really need to be. Jeff: To be fair, MANY of the Star Wars characters have names that are hard to remember. But for whatever reason, I felt that these characters didn’t have any distinguishing characteristics to make them stand out and have me remember their names. The storyline also jumped around a bit, and it was hard to keep track of what was going on, where it was happening, and what side it was about. George: There were a few flashbacks that I didn’t know were flashbacks until halfway through the section. I’m not saying the book is all bad, but it just didn’t stand up to the level of the other books we’ve read recently. I thought that the idea of following a ragtag military company around was a great concept, but it might have been better as a collection of short stories. Also, I do love when the novelists are given a side story and allowed to make it their own. I guess the book just dragged on too long, as if the author had a quota. Jeff: I guess that’s a fair observation as well; it wasn’t a bad book, and I’m sure many of you will enjoy it. It just wasn’t for us. Every author has their own writing style, so I’m not looking for the same type of thing as the other books. It’s odd, because I’ve enjoyed Alexander Freed’s other novels set in the Star Wars galaxy. This one just didn’t resonate with me too much. George: I don’t want to be too negative about the book, but it just felt like a real-time strategy war book. I did enjoy the last half more, once the action started, but it just didn’t resonate with me. I haven’t had the chance to play the new Battlefront, so I wonder if it will mean more to people that have played the game. Jeff: Having played the game a lot this week, spoiler alert: it doesn’t. That said, it DOES take another look into the new Star Wars universe, so completionists will want to check it out without a doubt. However, what they get out of it? Well, that will vary depending on your interest in military strategy. Have you read Star Wars Battlefront Twilight Company? What do you think about the Battlefront video game series? Kidcaster Junior Reporter at Six Flags Over Georgia!